The Path To Freedom And Love Is Waiting Patiently For You. Have you been feeling tired of life? Are you sick of putting up the facade of having it all together when deep down inside you feel depleated and unauthentic? Are you wondering where the magic and joy of life has gone? I had to go through so many struggles to eventually find my strength and purpose. As a child I was ill, my family life was unsettled and I eventually went to boarding school. By 16, I knew that living a 'normal' life with 'normal' expectations wasn't for me. At 25 a doctor suggested I learn how to meditate and handed me a pamphlet to a local center. I joined what turned out to be an ashram and stayed with it for twenty years. But I was not where I was meant to be and the universe conspired to bring me to where I am today. Now I'm Grateful To Be Living My True Soul's Purpose, my Dharma. 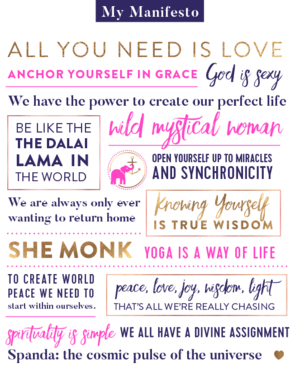 I established my business with the purpose of wanting to help people heal, remove their suffering and be a She-Monk in the world. When I feel my client's heart-felt joy, peace and love, and the looks on their faces when they finally get it and see that there is more to life and it doesn't have to be a push and struggle, that's what lights me up. I want to see people bring their light to the world and have such a deep connection with God that they are walking in love and peace. I am insanely passionate about what I do. It keeps me alive, uncertain and always learning. I know I am here to do big things and be of service to the world! 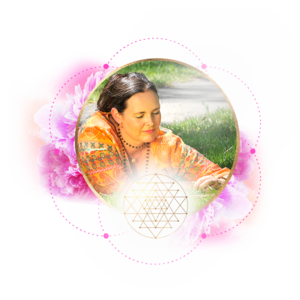 Sally Lakshmi Thurley is a trained Shiva Process Facilitator and meditation teacher with a specialty in Self-inquiry. Not only has she completed the formal teacher training in both disciplines but she has many years of practical experience in the field. She is an experienced and compassionate teacher and transformational coach. Her teaching work is based on 20 years of authentic inner work. Accordingly, she carries the spiritual energy of her tradition and has an extremely positive and life-affirming impact. She does excellent work and is capable of helping many people. 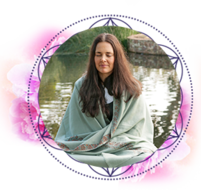 Sally 'Lakshmi Amma' Thurley is a mystic and recognised spiritual teacher in her tradition who is driven to help people awaken to who they are, become anchored in that awareness and take that experience to transform and heal the world. Her message is 'Big Mind, Big Heart, Big Being'. Spirituality is meant to be simple. 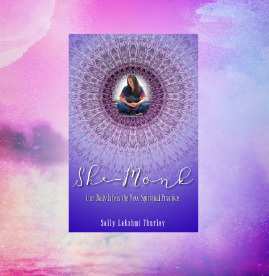 She is an international best-selling author of the books, the 'She-Monk: Daily Life is the New Spiritual Practice', 'Mastering Your Inner Game' and 'Healthy Spirit'. After spending decades studying and participating in non-dual Eastern wisdom philosophy with an ashram, Sally has learned how to merge spiritual practice, self-awareness, personal development and service to humanity with a simple B.S. free universal approach. Sally works with mindful and meditation techniques for corporate business and also runs courses on philosophy, spiritual development and leadership and has her own spiritual community, the Self-Knowledge Sangha running regular programs. She is very keen on what is feminine leadership in this new era and establishing an avenue for women to be the new leaders, teachers, visionaries and healers using the knowledge and skills provided by spirituality and her yoga – Spandashakti Yoga. "This yoga is all about living with responsibility and purpose, dharma. I want everyone to know their reason for being, to be love on legs in the world; but I also want them to be up to the totality that is spiritual living, the whole." Her goal is to create an enlightened society through wisdom, love and dharma and grace.